Hyundai has successfully created a line of high-end performance-luxury sedans. The 2013 Hyundai Genesis sedan is a powerful, well-equipped luxury sedan that is every bit the equal (and, in some cases, the better) of similar models from Mercedes-Benz, Lexus and BMW. 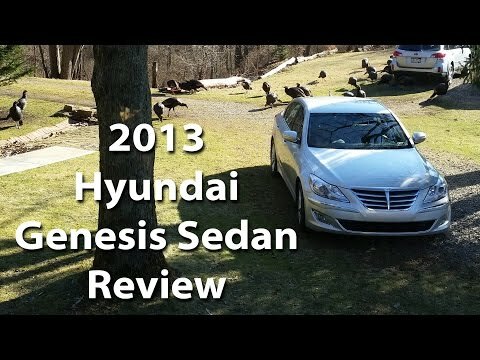 The Genesis sedan is taking Hyundai to places the brand has never been. A family car with a side of luxury at convenience! When I bought this car 2 years ago it was used and the only thing that had been done to it was oil changes. The car is very reliable and still to this day, the only thing I am needing to change out is the fuel injectors, but that is 5 years later! It a very good family car with a side of luxury at the same time with its heated seats, Bluetooth radio and wood grain trim. Everywhere I go someone is complimenting the car. I’d recommend this car because you really do not see these cars. It is a cute little sporty thing. It gets decent gas mileage and handles well. One thing I don't care for is that it unlocks when placed in park. I feel this is a safety concern, especially in parking lots. Secondly, it is a two door and the doors are a little longer because of this. They do not hang open until they are too far away from the car. This makes it easier to door another vehicle. Reliable luxury at an affordable price! The Genesis is fully loaded and reliably built with a comfortable ride. Hyundai has struggled with good gas mileage, but it seems to be improving. If I am really careful, I can average 22 mpg in the city. Mechanically, the car is sound without a bit of trouble. I am, however, not a fan of the direct fuel injection. The carbon build up on the bumper above the exhaust pipes is terrible!